Sending a parcel is not a complex process, but in order to avoid any accidents, then it makes sense to pack the parcel in a way which will make it safe for sending. The good news is that this procedure is simple and it doesn’t take much time and effort. First of all, you should select the best tools for this task. There are hundreds of parcels that are damaged because the senders use inadequate materials. Some of the basic tools and equipment for packing a parcel include strong cardboard boxes, jiffy bags, quality parcel tape, strong triangular tubes and parcel straps. Don’t forget that the right size of box plays a very important role too. Selecting the outer packaging is important, but what’s inside the package is important too. 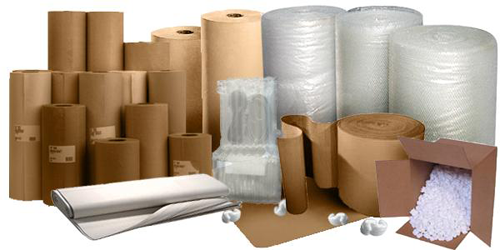 The inner packaging usually consists of polystyrene chips, bubble wraps and polyethylene foam. These materials represent an ideal material for cushioning and will keep the item in place and prevent damage. If you are sending fragile items, make sure that they are positioned in the middle of the box for maximum protection. Using delicate materials like bags made from different fabrics is not a smart idea because the parcels can be damaged from other parcels or during transportation. The material used for this purpose must be sturdy. Packing a parcel doesn’t always mean using new packaging. However, if you are using old packaging make sure that the packaging is still sturdy and strong. It doesn’t really matter what kind of service you use – the one that requires printed labels for your parcel or handwritten label – you must be sure that the item is labeled clearly. This label should include a description of the item and delivery address. It also makes sense to add another label inside the box in case something happens to the external label. If possible, you should also avoid decorative packaging. Using this kind of packaging can lead to accidents. For instance, if the parcel has ribbons it can get stuck and caught by machines. In addition, decorative packaging may also increase the chances of theft. For more advice about packaging, please contact us now.